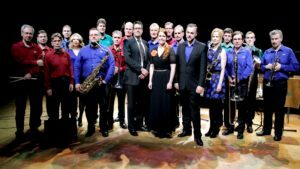 Grani Big Band has been performing Golden Era jazz music as well as contemporary jazz classics for more than forty years. The orchestra has a wide repertoire where you can find compositions for many tastes and occasions, everything from favorite dance pieces to party music, ceremonies and celebrations. Listen to our music samples and order the band to your own event. 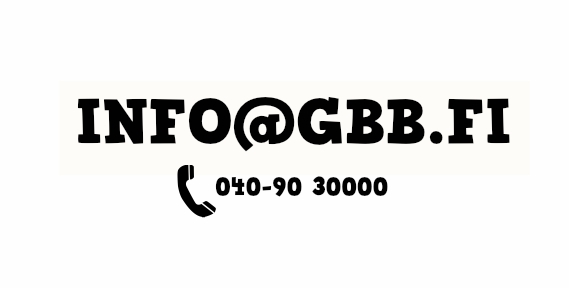 You can find the contact details at the bottom of this page. 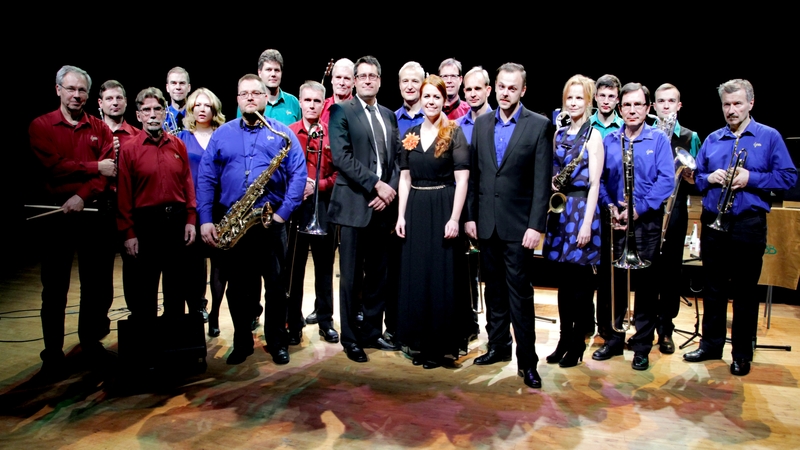 Every year Grani Big Band organizes spring and autumn concerts around the Helsinki area. 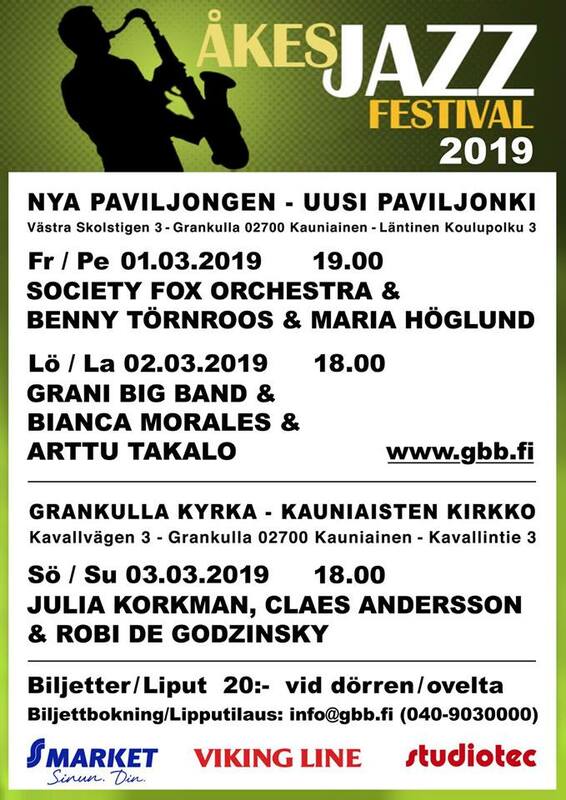 In spring there is the traditional and well-known Åke’s Jazz Festival, featuring great Nordic soloists, such as Hacke Björksten, Ulf Johansson-Werre, Severi Pyysalo, Seppo Kantonen, Marian and Mihai Petrescu playing together with Grani Big Band. Autumn concerts are always dedicated to some new theme and involving legendary jazz stars like Pentti Lasanen, Antti Rissanen, Pentti Lahti, Johanna Iivanainen. Through the years Grani Big Band has collaborated with a great number of top jazz musicians. Today GBB consists of big enthusiasts of music, spiced with a few professional musicians. The aim of the band is a continuous development of the orchestra and every one of its musicians. From the very beginning the band the band has been led by talented arrangers and conductors such as Leo Eklund, Reijo Tikka, Aarno Raninen, Sven Nygård, Jan Takolander, Teppo Salakka and Erno Tiittanen. Nowadays Grani Big Band is directed by brilliant Marko Vasama.